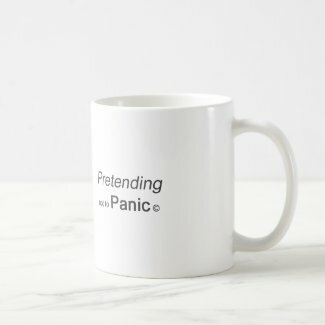 If you want a t-shirt (or various other ways of quietly saying you’re pretending not to panic) here’s a store for that. 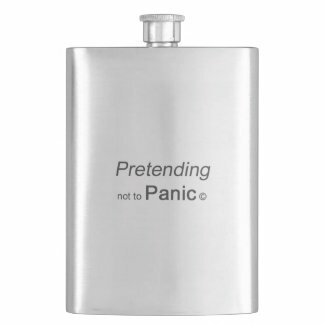 : Pretending Not To Panic on Zazzle. Of course, maybe some caffeine will help you cope. Or, maybe you want to tell folks why you’re reaching for your hip flask.